Dogs and golf. Two words that one may think have little chances to be found in the same sentence. Not for entrepreneur Bruce Lynn, founder of website Dog Golf, who – following a happy encounter – went on a mission to map out all golf courses that allow hounds in the UK. 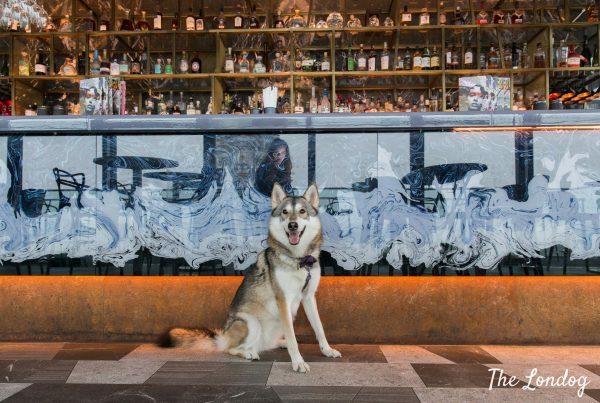 We chat with him about his discoveries and insights into dog-friendly golf courses in London: a very unexpected thing you can try in the capital with your dog! 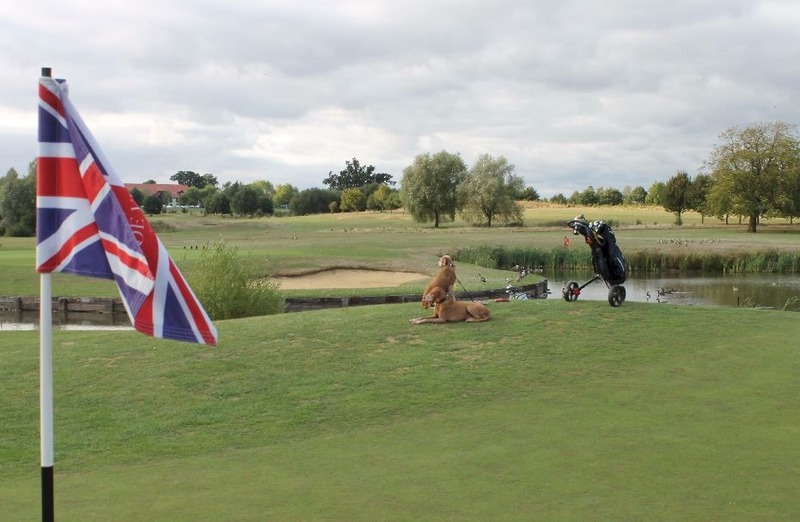 Dog Golf has been running for a few years now and, after getting in touch with 2,633 venues, Bruce discovered 384 dog-friendly golf courses around the UK. 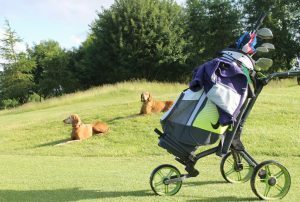 It may just be the 15% of golf courses, but it still seems a very good choice range if you want to combine your golfing passion with your canine duties (or, hopefully, pleasures). But don’t be misled, this won’t mean having your dog charging around the green trying to steal other players’ balls, digging in the sand bunker, or diving into the pond before shaking to cover the caddy in mud. “UNDER CONTROL – Rule #1 is that the dog must be under control at all times. No yelling ‘Fenton, Fenton…<jc>, Fenton…’ if a water fowl, rabbit or squirrel appears. If you are not completely sure about your dog’s obedience in the most tempting situations, then definitely keep them on leads. That said, half the courses require them on leads at all time anyway. GREENS – Dogs are like trolleys… no dogs on the greens. BUNKERS – No dogs in bunkers either. If they do wander in, be sure to rake out their prints. Bruce and his wife Lori have two charming Hungarian Vizslas named Rusty and Grace (featured in the photos in this blog post, which are all courtesy of Bruce), and, as he says, all the four of them enjoy being active and being outdoors. Bruce explains that his passion for golf started a few years back, when their children flew the nest: he was getting invited to more and more corporate golf days, and Lori had the idea of giving him some lessons as a Christmas present. It didn’t take long for Lori to pick the sport too. When Bruce started playing golf, he hadn’t seen dogs on golf courses and had not ever thought of asking to bring his, until one day everything changed. 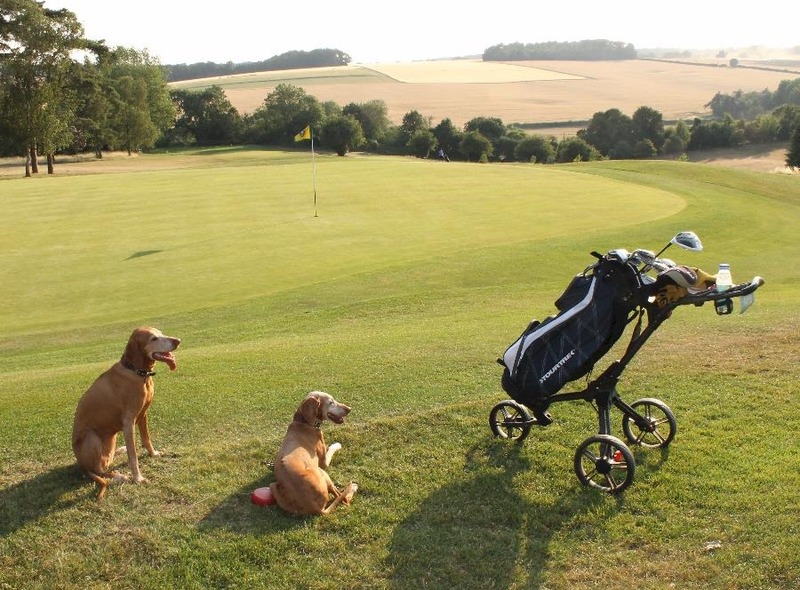 “After a couple years of learning the sport, friends took us for a round at our local Harleyford GC in Marlow and brought their Labrador Bella along for the round, which was an epiphany for us”, recounts Bruce. Since then, Bruce has been on the look for dog-friendly courses. 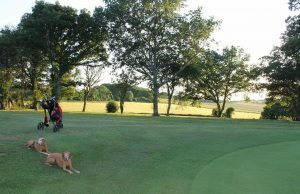 “We didn’t belong to a club and enjoyed experiencing the diverse landscapes of different courses, but when we started to bring the dogs along, it often took me lots of calling around to find a course that was dog-friendly”, he continues. It didn’t take long for him to wanting to share the product of his research and start Dog Golf. In his words, the website has proven a useful resource for golfers planning holidays in the UK when they want to bring their dogs. “Cornwall and Scotland have an especially high proportion of dog-friendly courses and lots of people like holidaying there and enjoying golf and they use the site to plan their trip and where they are going to stay”, he adds. From the stories he tells, Rusty and Grace seem to be impeccably well-behaved and can also show some tricks to impress during the game.” An added dividend is that Grace is especially good at sniffing out stray balls in the rough. We’ve taught her not to touch them. Grace loves her treats and loves to work so, unfortunately, each drive I think she is secretly willing me to slice it. It’s especially fun when we come across other golfers haplessly searching for their lost balls, we have Grace sniff their hand and then she finds their ball. The universal reaction is ‘I want one of those! '”, laughs Bruce. 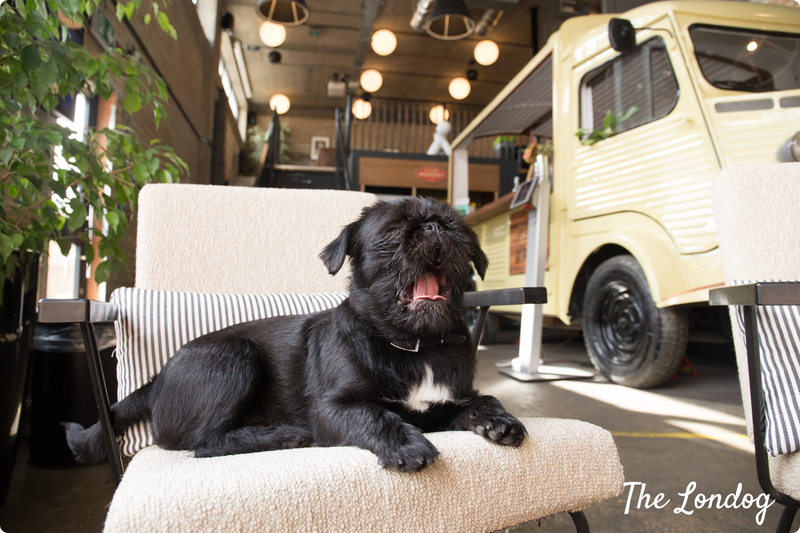 But coming to the Big Smoke… which golf courses in London are dog-friendly? Bruce has identified 15 of them around “Greater London”, namely Bush Hill Park, Central Park, Chingford, Dukes Meadows, Eltham Warren, Highgate, London Scottish, Moor Park, Muswell Hill, Richmond Park, Royal Epping Forest, Royal Wimbledon, South Herts, West Essex and Wimbledon Park, plus Hampton Court. Not a bad range of choices, considering that the four cardinal directions seem to be covered. 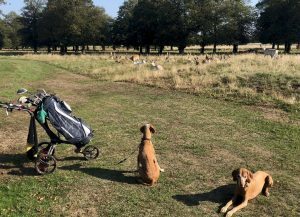 So far, Bruce visited the ones in Richmond Park and Hampton Court, which he reviewed on DogGolf.info (see respective links). He also provides some essential tips for your visit with a dog. One is definitely keeping them under control due to likely deer encounters. Also, you can check the “dog-friendliness” of a course on DogGolf.info, where each course review features a standard ‘Welcome’ section describing how welcoming the people on the course were and if and how many other dogs were around to make one feel less out of place. “Outdoors: Mark Twain might have said that ‘Golf is a good walk spoiled’, but I would argue it is a good walk enhanced. Enhanced with some activity to spice it up and enhanced with manicured greenery. Levelling: The system of handicapping (and its second order derivatives like Stableford scoring) means that a beginner can play with a pro and both can have a satisfying and even competitive match. Technique: I love the fact that a less powerful golfer with better technique can drive the ball farther than a powerful one with weaker technique. The wish is obviously that more and more golf clubs and courses opened their doors to canines, and Bruce has some good ideas about this. 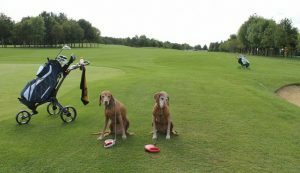 “I would encourage golf courses that are not dog-friendly to experiment with trying it out. Maybe a special day set aside where dogs are welcome (and maybe devoting the day’s fines to a charity like Battersea Dogs & Cats Home)”, he says. “Pets are an increasingly important part of people’s lives with them considered as members of the family and being brought on holiday. 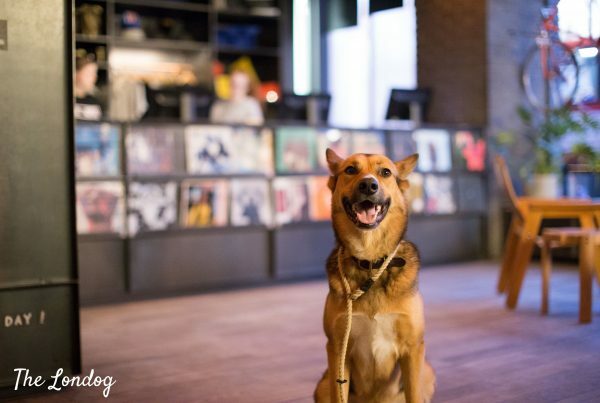 Many clubs are challenged to attract new members and new approaches like dog-friendly policies might appeal to a wider segment”, concludes Bruce. In the meantime, are you ready to get clubs, leash and go where you can? Photo Credits: All photos in this post are courtesy of Bruce Lynn. Previous PostWooferendum March: dogs peeing compilation and other "tails"